Black crepe dress with lace sleeves from Retro Romance Collection (May 2017) for Fashion Royalty FR:16, Tulabelle, Poppy Parker Fashion Teen, Numina, Kingdom Doll, Sybarite GenX, Tonner Tyler doll and similar size dolls. Model: Shades or gray Hanne Erikson Fashion Royalty 16″ FR:16 by Integrity Toys Jason Wu doll. 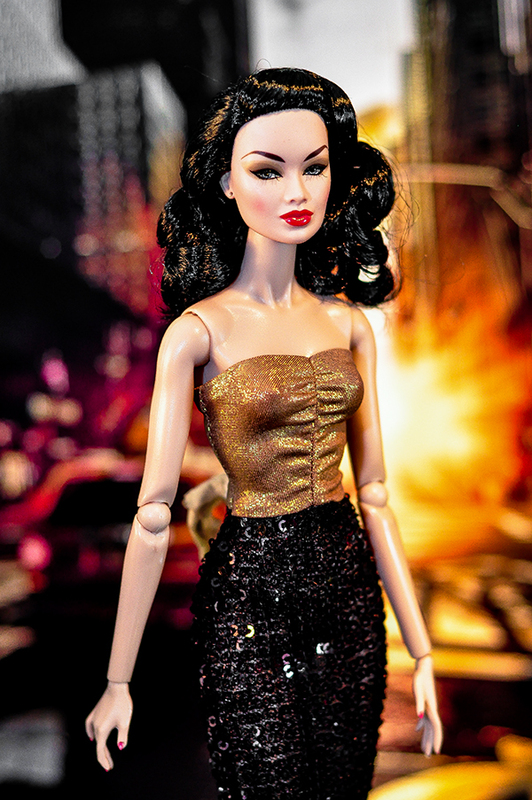 Sybarite “Chinchilla” doll on Gen X body by Superfrock. Materials: polyester, full beige lining. Fastens with a tiny button. Dress ONLY!! !Doll, shoes, tights, dress, bijouterie and diorama are not included.